Whilst Tresillian is not on the main tourist hot list, it does have some interesting places that make it a worthwhile visit, and it’s an excellent central location to be based at for exploring Cornwall. One of the nicest riverside walks in Cornwall can be accessed from the western end of the village. Tresillian to Malpas (Full walk) – 3 miles (4.8 km), approx 2 hrs one way. After St Clement the journey to Malpas varies considerably using undulating public paths and bridleways. 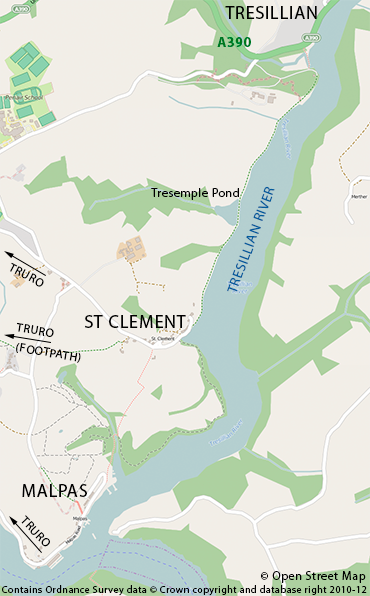 Tresillian to St Clement (Part walk) – 1.4 miles (2.3 km) This is the relatively flat section. Suitable for off-road wheelchairs, but users need to be aware that it is stony and bumpy in places and can be quite muddy at times. 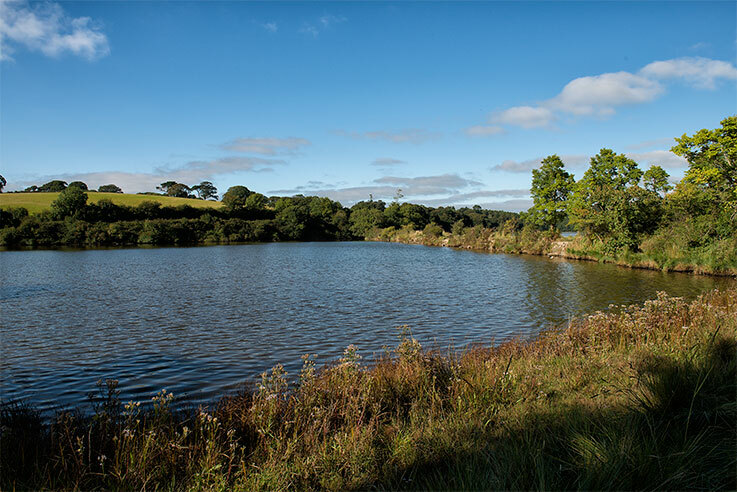 There is also the option to cut away at St Clement and walk to Truro, either via the road out of St Clement or over public footpaths to Trennick Lane. Once in Truro you can get a bus back to Tresillian – advisable to check bus times in advance. Birdlife that can be found on the Tresillian river: Little Egret, Grey Heron, Shelduck, Wigeon, Teal, Oystercatcher, Black-tailed Godwit, Curlew, Redshank, Greenshank and Kingfisher. And, at Tresemple Pond you may also see Little Grebe, Moorhen and Water Rail (secretive). Ordnance Survey Map (1:25,000): Explorer 105. The Tresillian Village website recommends visiting the iwalkcornwall.co.uk website to research for suitable walks in Cornwall. There are some 208 walks listed that have been thoroughly researched with each walk containing a wealth of information including a map, directions, description of terrain, photos, heritage, natural history and refreshments where available. A new shared cycle and pedestrian link is now completed between the western end of the village and the new Eastern Truro Park & Ride at the junction of the A390 and A39. Postcard with photo of Tresillian sent by a holidaymaker staying near the village in 1939 writing “we are having a grand time”. Photo: © Author unknown, as original print does not have identifiable imprint. See larger image of Tresillian postcard on our History page. I wish to receive emails about Tresillian Village events, urgent notices and other newsworthy village information. The Tresillian Village website is not responsible for the content of external websites linked to from this site.